The race to the end of the school year has begun and Lily is off to a good start. We all survived the first day of middle school. Lily even described it as ‘awesome’. Hmm… that’s never happened before. Of course, they haven’t started doing any work yet, but she still was able to manage the stress and anxiety of a chaotic, new situation. She was okay in the morning, in good spirits, until it was time to get out of the car. She got very flustered… which side should I get out on? how do I cross the street? which way to I go after I cross the street? should I get out now? I tried to explain calmly and she was able to pull it together and get out of the car. Her sister and I watched her walk away and Zoolander said, “That stressed me out.” Agreed. I thought about her all day. What’s she doing now? Is she doing alright? Is she freaking out and the school is going to call me any minute? Lily called when she got home on the bus. She was bubbly and happy and said it went great. She told me that she started to get freaked out once when she got to her locker in the morning and wasn’t sure what she was supposed to take to class. So, she said she just thought about it and decided to wait for the girl who has the locker next to her and figure it out. Great self-talk and problem solving to control her emotions. When we met with Lily’s psychologist the next day he was proud of her and we all had a long discussion about self-talk and the different types of self-talk, which led into our next topic… math. Lily got upset when we talked about math, but instead of getting frustrated and shutting down like she usually does when she has to face a difficult topic, she really hung in there and talked about her worries. She’s very anxious about the math knowledge she is missing and has convinced herself that she will not be successful, which, after what she’s been through at school, is understandable. I tried to explain to her that we chose the math program she’s in for several reasons, one of which is that her teachers feel that it’s better for a learner like herself. I told her that she has such a unique mind that none of us really know what is exactly right for her but that we’re all trying to figure it out. DR talked to her about staying positive and keeping an open mind and trusting that we’re all trying to help her. I told Lily that I would ask the school for some answers to her questions and that seemed to help. 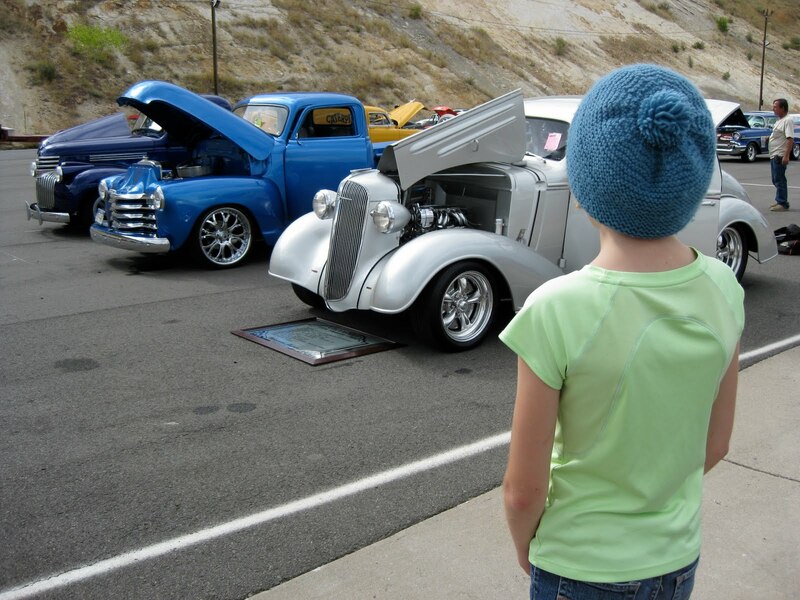 On a more fun note, I took Lily and sis to the racetrack near our house today for the Super Chevy Car Show. I promised I would take her because she loves cars. We got to the car show at the end of the day and it looked like it was almost over. She was immediately worried that we had missed it. The ticket windows were closed so I told her that we would just walk in. She said she felt uncomfortable about that. Lily is very black and white about rules. I had to force her to go in and she was mad. I ignored it. After looking at a few cars, she got over it and had a great time. 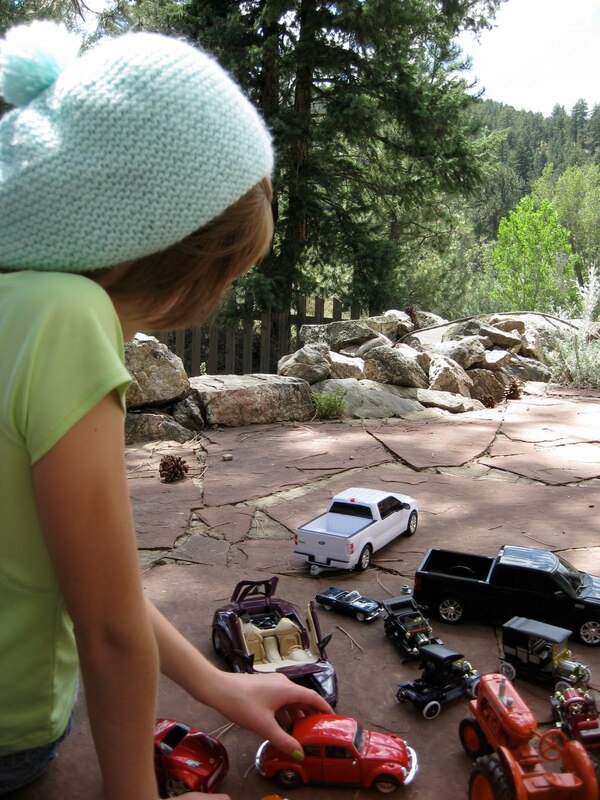 In Kindergarten, Lily told us she wanted to be a car designer and still loves cars. Currently, she loves Corvettes. It’s their round tail lights that she says she loves. She asked if she could get a Corvette when she turns 16. I told her that they aren’t very good in the snow. 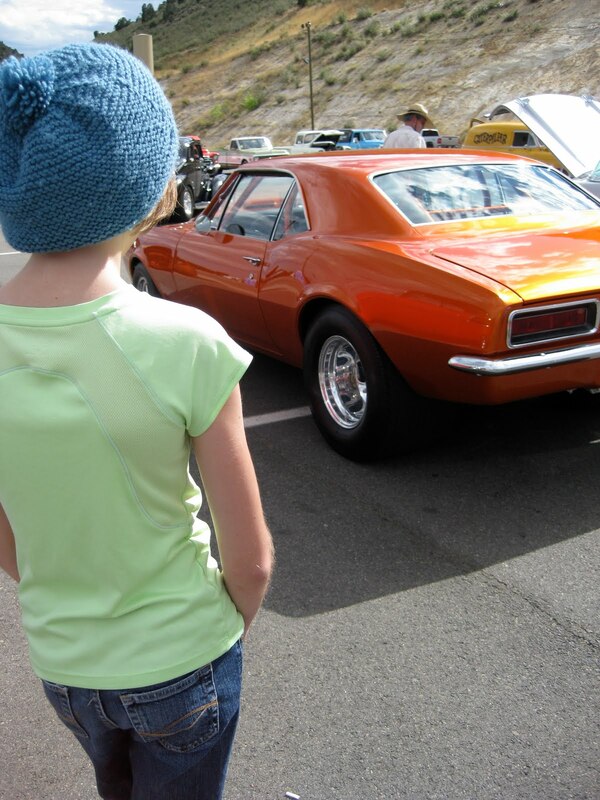 When she was in the midwest this summer, visiting Grandma and Grandpa for 2 weeks, they surprised Lily with a visit to the home of a member of the local Corvette club. Lily got to take a ride in the women’s Corvette convertible and Lily said it was the best day of her life!